Entire Travel group has expanded its portfolio with the launch of Maldives Travel Connection (MTC)! The new wholesale brand will provide agents with some pretty impressive expertise on one of the worlds most alluring destinations. MTC will offer an extensive range of products and services with its first brochure featuring more than 40 four- and five-star hotels and resorts spread throughout the Maldivian archipelago. Properties and tours cater to a range of budgets and customer profiles, including families, couples and soft adventure enthusiasts. Among the many accommodation options likely to resonate with Australian travellers is the ‘Liveaboard’ – a selection of well-appointed boats that voyage around the Maldives’ 26 atolls (on pre-designed or custom-made itineraries) in search of ideal diving and/or surfing spots. As with all Entire Travel Group brands, travel agents working with Maldives Travel Connection will enjoy the full support of specialist consultants with first-hand experience of the destination. The launch of the new Maldives program follows the merger, effective 1 July, of Entire Travel Group and CIT Holidays. Entire Travel Group Chief Executive Brad McDonnell said Maldives Travel Connection is a natural extension of the company’s unique product range. “We have extensive experience in selling island destinations but what really distinguishes all our brands is the depth of knowledge and level of expert support they provide our travel agent partners,” McDonnell said. “The Maldives is an increasingly popular destination but also a complex one. While it offers visitors a broad range of outstanding properties, they are scattered across thousands of coral islands and serve different markets. 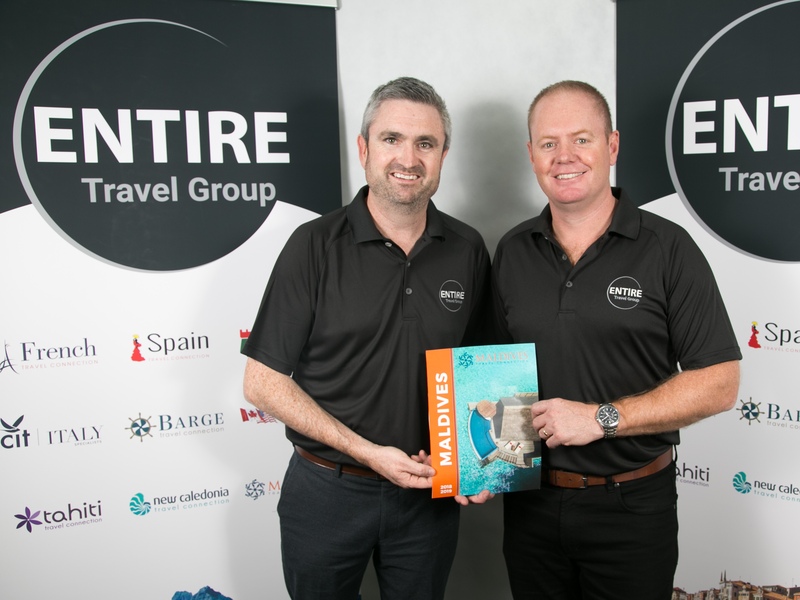 The new 68-page Maldives Travel Connection brochure – the most extensive in the Australian market – will shortly be available through TIFS. SAY ALOHA: Who's speaking at TravelManagers' National Conference? LUX* North Male Atoll is ripping up the rule book with innovative nautical forms inspired by Hollywood’s favourite spy.